I've been a part of the NURTURE circle of do. Good Stitches since 2013. We used to donate quilts to My Very Own Blanket and then, after a group vote a couple years ago, switched to supporting Covered in Love. I have really loved being a part of this circle and I'd encourage anyone who is interested to apply to join a circle. Usually in my travels I manage to either borrow a sewing machine or get my blocks done early. It didn't work out this time, so two block angels stepped in to make my June and July blocks. 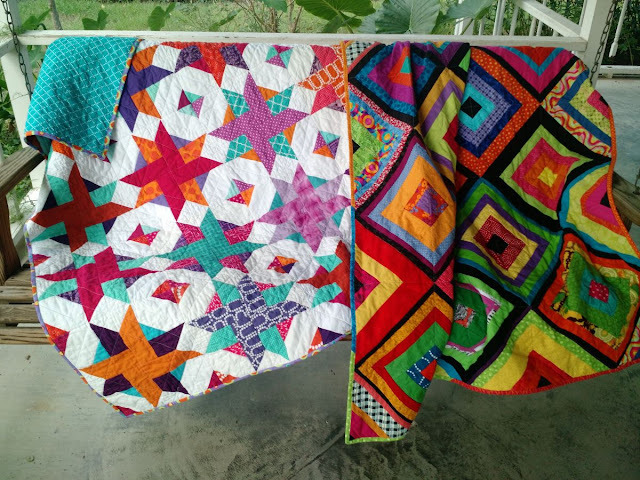 One of my local quilter friends, Tricia, and Louise who I told you about a few weeks ago each made two blocks on my behalf. Thank YOU ladies!! do. 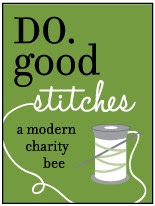 Good Stitches is a great organization that supports tons of charities. You can sign up to be a stitcher or a quilter. A quilter takes their turn twice a year to choose the block the group makes and finish off the quilt, the rest of the time they just make 2 blocks per month and send them to whoever is the quilter. Stitchers always just make their two blocks a month and never have to take a turn as quilter, so it's a little bit easier of a commitment. If you've ever considered joining a circle, do! It's a ton of fun! Kat, the circle idea sounds wonderful. I would love to belong to one. 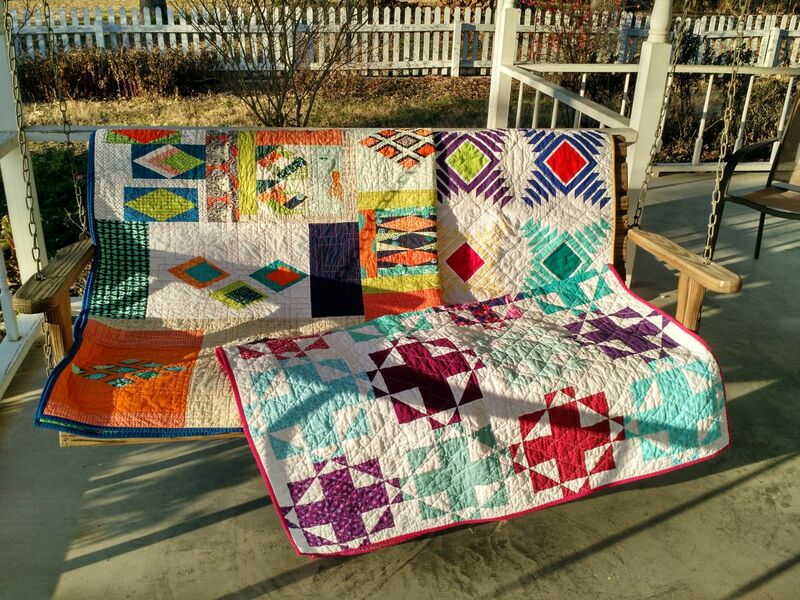 What is the pattern of that gorgeous pinwheel star quilt? Any tutorial you know of? I love how the colors all work together. I'm glad I found this! I'm so looking forward to what others are sewing for charity!